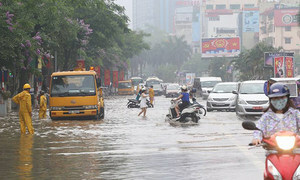 The U.S. lifting of its lethal arms embargo on Vietnam and President Obama's previous remarks in Hanoi should not be understood that it targets China, U.S Secretary of State John Kerry said in a press conference in Ho Chi Minh City Tuesday. He made the comments while being asked about a Chinese media report about the ban. 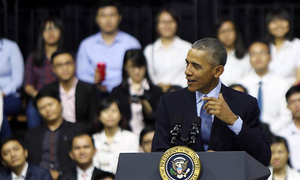 Obama on May 23 made a historic decision to lift the ban to sell lethal weapons to Vietnam, which has drawn special attention from the world. 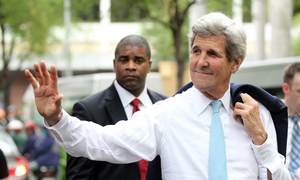 "It was a restraint on normality," Kerry said. 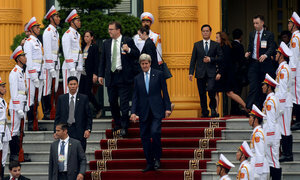 The lifting of the embargo is normal because Vietnam and the U.S. now have a normal relationship. “It is not about China. Nothing that we did here or are doing here is focused on China. It is focused on the fastest growing marketplace in the world,” he said. 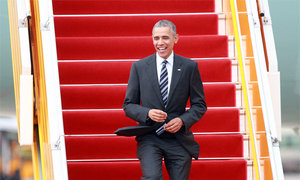 Obama said earlier on Tuesday that "big nations should not bully smaller ones." 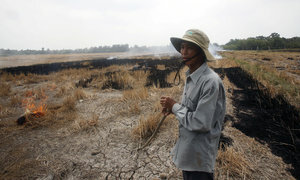 Obama also urged relevant parties in the region to settle its maritime disputes in Vietnam’s East Sea peacefully. 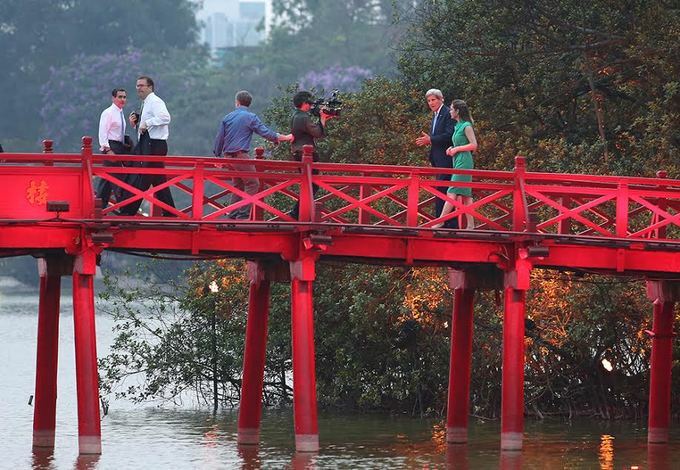 While urging China not to act unilaterally and militarize the islands in the region, Kerry stressed that Obama's visit is to fully normalize relations with Vietnam. The U.S. welcomes the rise of a strong and responsible China as a super power that encourages peace and stability in the world, according to Kerry. "I hope China will read this correctly because our hope is for normal respect for maritime law and for the relationships that are so key in this region", the U.S. Secretary of State said.